Many company mailrooms are inefficient and unproductive because they continue to use old, outdated equipment, and systems or processes that eat up profits and waste time. Instead, with AOS’s FP Mailing Solutions, you can turn your mailroom into a streamlined mail center. 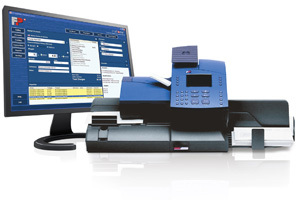 No matter what size your mailroom, AOS has a program to fit your operation from today’s highly efficient postage meters that get the job done faster to productivity enhancing equipment such as folders, inserters, envelope openers and labelers. All products are designed to make your job easier, quicker and save you money. Using today’s computer technology, AOS’s FP Mailing Solutions offer you a comprehensive line of high quality equipment that will help you establish a cost-effective and customized mailroom center.